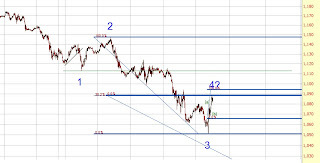 The ES hit the 38 % retracement level of wave 3 a few minutes ago, so wave 4 may have finished. 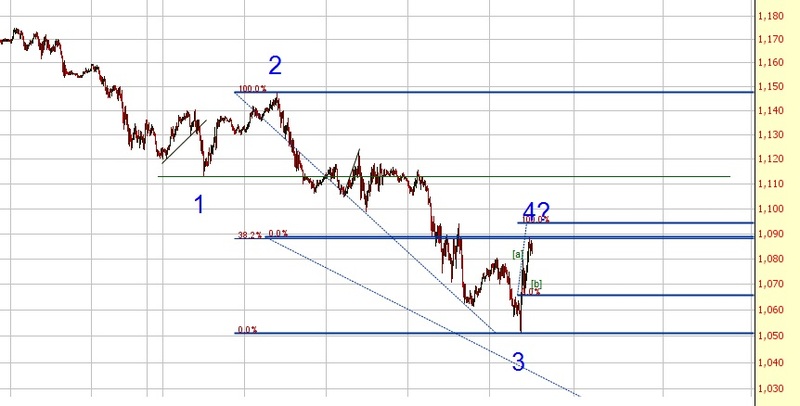 If we decline below ES 1066 we should get wave 5 down to 1020-30. Should we continue to rally though and even rally above ES 1113 the wave from 1175 has likely finished.